Children deserve the best start in life. Nothing is more important in the world of tomorrow than the children of today.The Toddlers wing is a happy and loving environment that provides quality care to your little one. We are committed to building a healthy foundation for a lifelong learning in children. 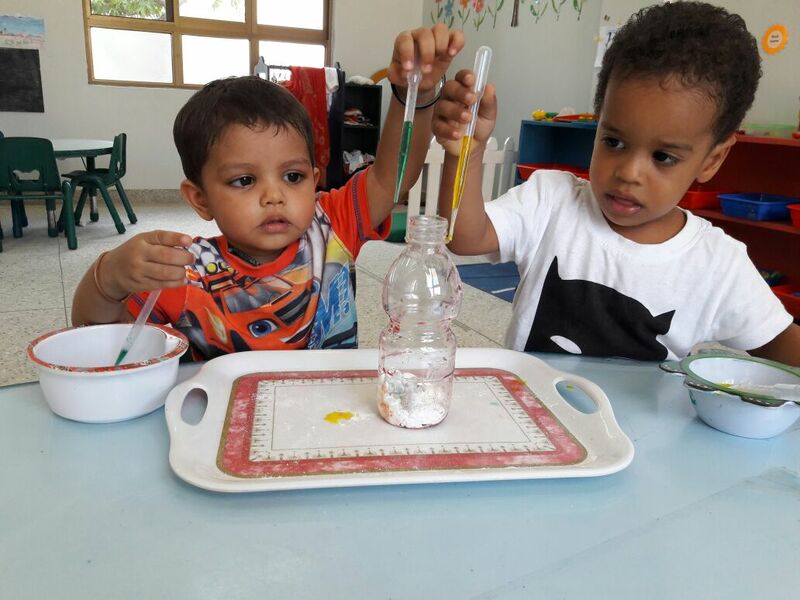 We build this foundation by supporting the development of the whole child through activities which promote physical, social, emotional and cognitive development in a play-based environment. We excel at providing an enriched learning environment to prepare the children for Nursery level. We are aware that each child is a unique person with an individual growth pattern. Hence, the teacher’s role is to determine the developmental level of each child and encourage growth in all areas.